be careful - there is such a high addiction factor again a so nice (not fooling!) practice ! Next you'll start twisting them, then all is lost. HornOxx, you asked about triangles..... After I exploded the twelve pieces I erased and redrew the flat bottom inside and out so they were all quads. The pairs of triangles at the top just bellow the rim I could eliminate by " soft, smooth, no cast shadows" but I lost to much definition of the crease that way. Leaving them as triangles kept a better look to the vertical grooves. It seems you can cheat on the quads a little sometimes and still get a nice result. HornOxx, your correct the green, purple colors are from Quadface tools analyze function. I forget about it myself sometimes . If you send me one of these models I can have a look into what is going on. A couple of sinks I knocked up as an example. pilou wrote: No thickness ? I think thickness doesn't make sense where it's not to be seen. but did you notice that Box even models the water overflow correctly? Yes of course, it was for find a little default on these voluptuous design beauties! The cool thing about Subdivision modeling it's that is always a surprise before the final object! pilou wrote: The cool thing about Subdivision modeling it's that is always a surprise before the final object! In the video pilou posted, does anyone know what plugin the person is using that has an icon which looks like sword? Sorry about the crappy screen capture... and thanks for any info. 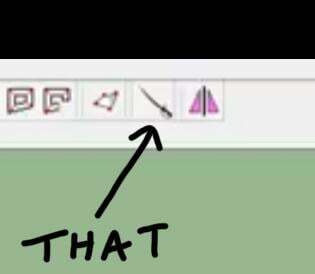 McGyver wrote: In the video pilou posted, does anyone know what plugin the person is using that has an icon which looks like sword? It was Zorro 2... I did not know that was what that tool did... too bad, I could have used that a bunch of times.